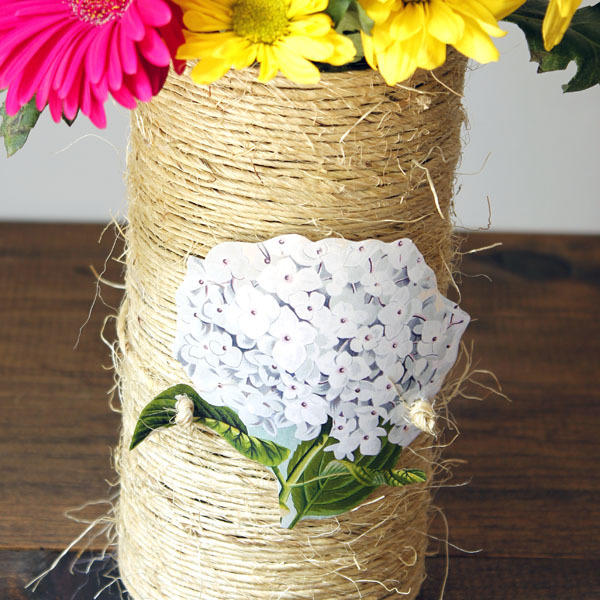 Make a Vintage Twine Wrapped Vase! Hi everyone, it’s Andrea from The Cottage Market. So great to be back with all of you and sure hope you are enjoying your Summer. I have promised you more quick and easy DIY’s for the Summer Time and I think I have one of the easiest ones yet and I have to say the most versatile one. Why is it versatile? Because you can literally use any of The Graphics Fairy images with it! 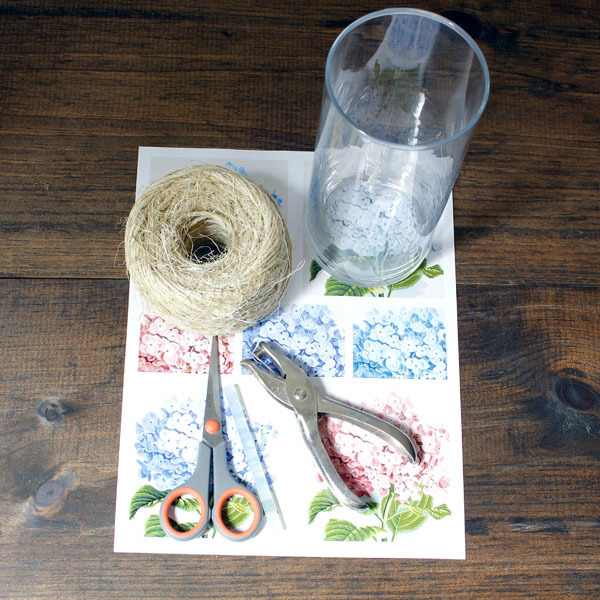 It’s time to check out how to make yourself a Vintage Style Twine Wrapped Vase. SO easy you won’t believe your eyes! 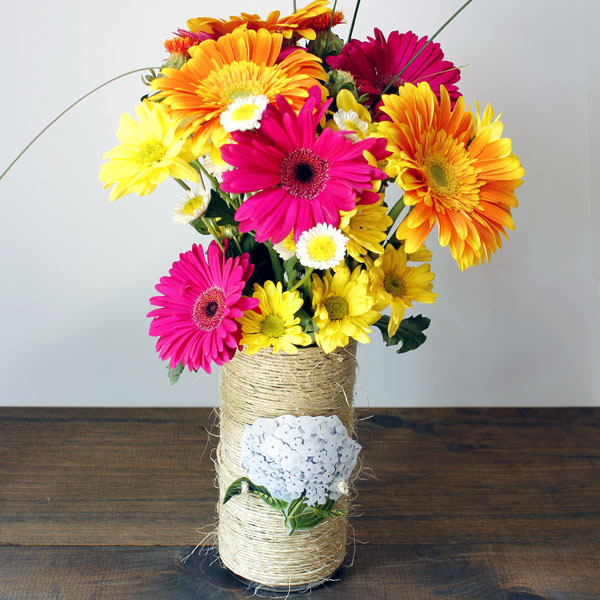 First you will need a few simple supplies: A spool of twine (you can also use colored twines or yarns) Your favorite Graphics Fairy Image of the Day, a scissor, a punch and a glass cylinder vase or something as simple as a tin can. 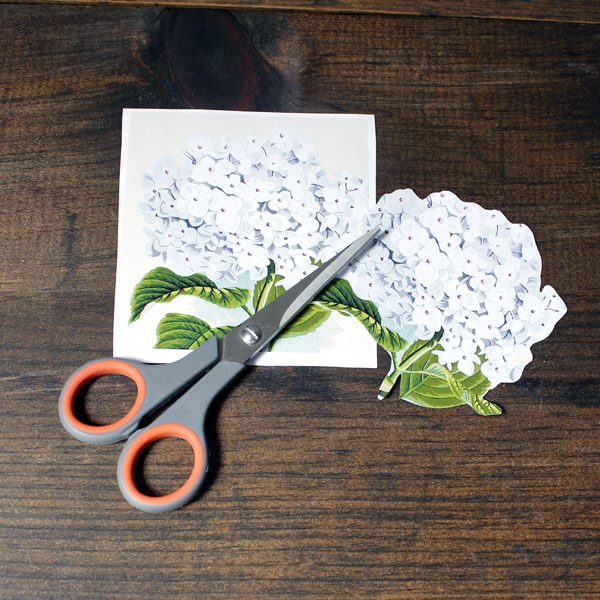 Take your printed image (I used the Hydrangea Images from HERE) which I printed on Card Stock and had it laminated (you don’t have to …but I like the durability it adds)…now simply cut the image out. Now just punch holes on either side of the image so it will hang the way you want it to. 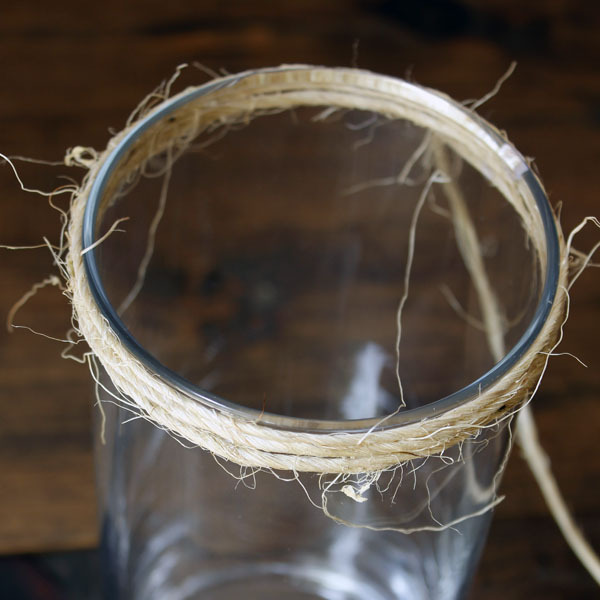 All you have to do now is to measure your cylinder vases and cut your twine so it can slide onto the vase. 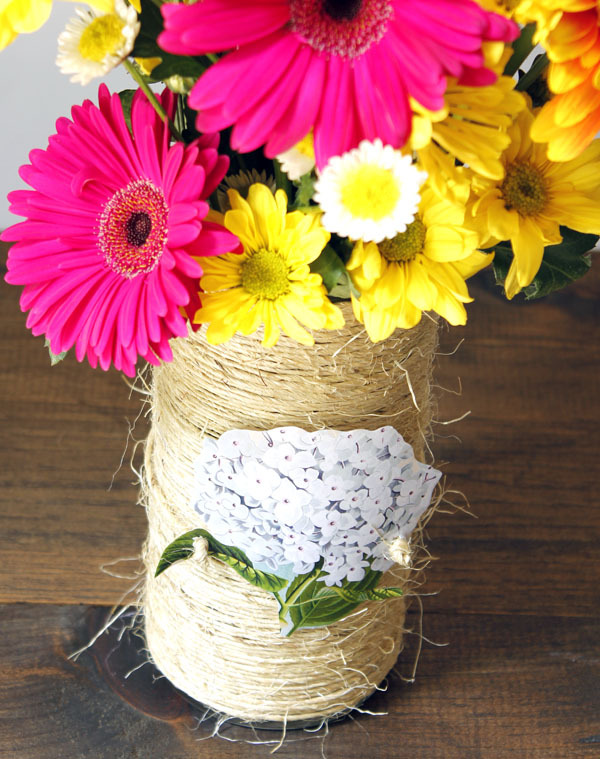 You can also just tie a little knot in the back of the vase which is easier. Thread the twine thrown the holes and make little decorative knots to secure it. Now it is time to make the vase. It is so simple! 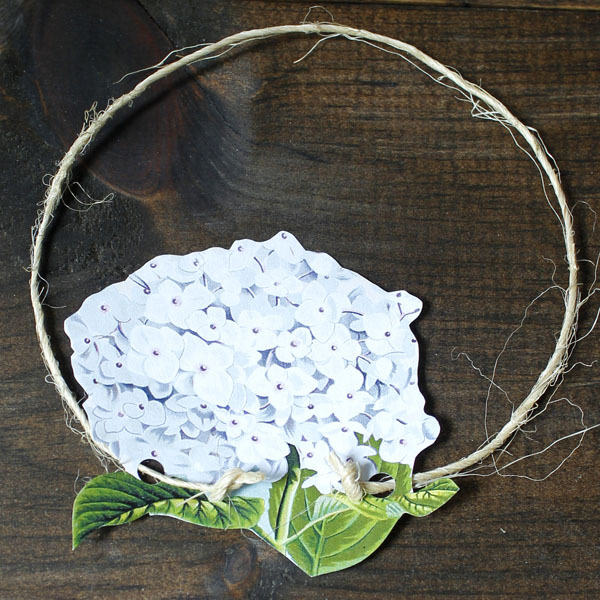 All you have to do is take a little dab of hot glue and place your twine at the top…now wrap and wrap and wrap till you get to the end…glue the twine to the bottom and viola you are done. You can put little dabs of glue along the way if you like : ) Also… try at all time to keep the twin taught! 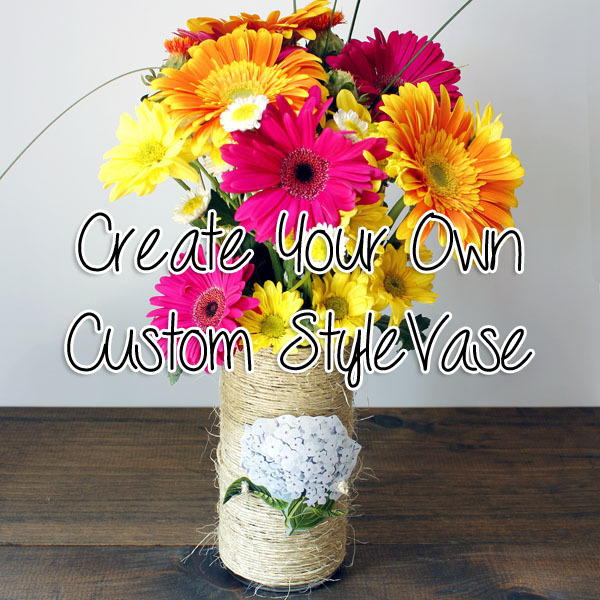 Now simply tie or slip your favorite image onto the vase and you have it! 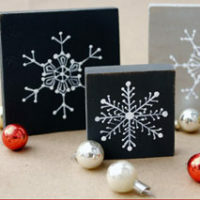 You can change this out for holidays…birthday’s, graduations, or just because! Any theme is possible…any size is possible…even any shape! The possibilities are truly limitless. You can also do this with ribbons or yarn. A great Nautical image would be fabulous for that Beachy Cottage look. You get the idea…now all you have to do is explore the incredible library of free graphic images here at The Graphics Fairy. I have a feeling you will find something absolutely perfect! 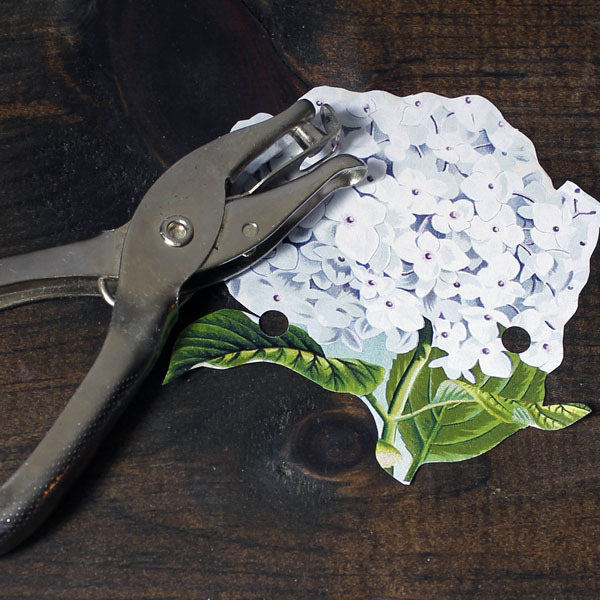 All you have to do now is add flowers! Now it is good to go! If you are looking for a refreshing Quick and Easy Salad…Try this Corn Salad…it’s Yummy! 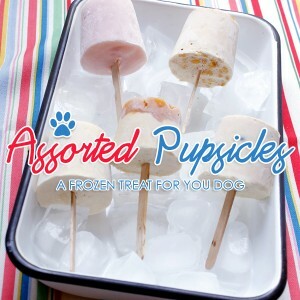 We also have some yummy Pupsicles for your favorite Pup! « Gorgeous Vintage Albatross Image! 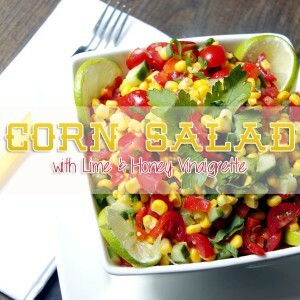 a wonderful idea looks really nice !